If you are to believe, social media marketing on Facebook is on the rise. Why? Because the social networking platform has about 1.49 billion daily active users across the globe. 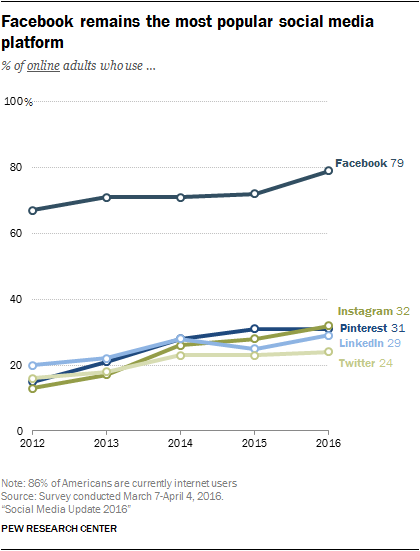 In fact, according to the Pew Research Center, Facebook remains the most popular social media platform. Sounds interesting right? Well, the platform is considered as the birthplace of social media marketing and that true because it hasn’t lost its place to any of its contenders. With such a high number of active users, every type of audience is present on Facebook. And any business owner would be foolish not to take advantage of the great marketing opportunities the platform provides. So, are you prepared for the Facebook marketing strategies that are coming up this year? Well, social media marketing in 2019 is like a wave that you have to pick and take your eCommerce to a whole new level. This blog talks about the tips to incorporate in Facebook marketing to benefit your online store and take it to new heights. Getting yourself listed under the correct type would open the number of features that are specific to your business. For example, selecting “local business or place” gives you an option to set a physical address which you would not be able to find under the other category. Optimizing images is something that is one of the golden rules of social media marketing trends this year. You must ensure that the images that go on the Facebook business page are optimized in terms of quality. From the profile photo, cover photo to the others posted on the respective page must be full-proof in terms of Facebook marketing. They should be captivating and attention-grabbing but at the same time of a size that doesn’t take time in loading and more. Now, this is something that would give all your visitors an instant opportunity to come to your website and explore. However, a lot of eCommerce marketers overlook while planning out their Facebook marketing strategies. 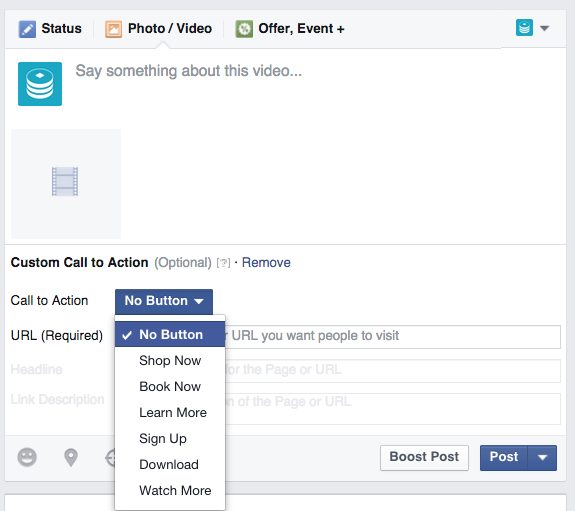 What the eCommerce must do when they’re planning their plan of action in social media marketing in 2019 is by ensuring that there’s at least one Call To Action (CTA) button on every business page. If you are not investing in this feature, you are really leaving a lot of money on the table. What the CTA button says and will depend entirely on however you set it up and you’ve got no shortage of choices — Buy Now, Sign Up, Contact Us, Use App, See Video and many others. You’ll be able to connect these buttons to your landing page, a contact form, a video that you just would really like to market or associate degree opt-in page. It all depends on what you’re wanting to accomplish along with your Facebook business page. The Facebook Newsfeed is quite a busy place with numerous eCommerce marketers trying to invest in Facebook marketing. Well, the only way you could get your visitors to see your posts is to optimize them accordingly. The way you craft your posts, the way you create it and send it across to your consumers make a lot of difference for your online business. Optimize your posting time: When you post your feed on the timeline, you must know the exact time when your post will get maximum views and reactions. Keep your post concise and to-the-point: You may write all the fancy things that you want to but would your entire audience be able to get through the same? Well, make sure that the post you write is understandable, relevant to the audience, and has a CTA button for customer-engagement. Make it engaging: You see a lot of posts where there is no engagement even when it is written beautifully. On the other hand, there are those which might just be a question yet users are communicating with each other largely. So, make your posts engaging by asking questions, talking about hot topics and much more like that. 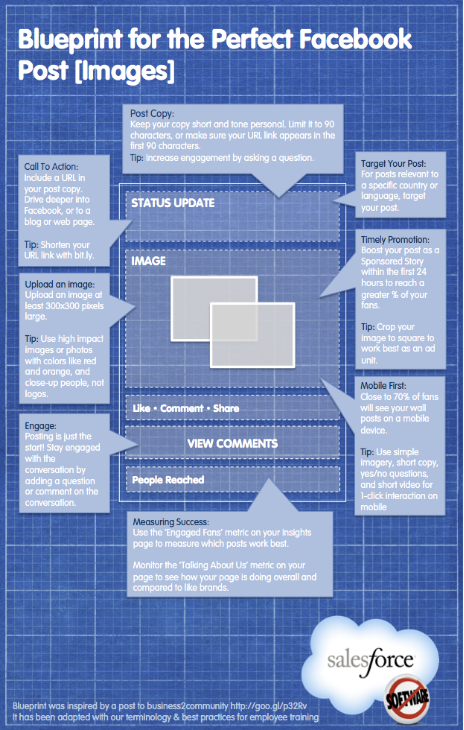 Below is the blueprint of a perfect Facebook post by Sarah Wefald. In case, the motive of the Facebook post is to share the link, make sure that you eliminate the link URL from the post. To do so, simply paste the link and give Facebook a few seconds to capture the information about the URL (image, title, and first paragraph) and then delete the URL before posting. This will make the post look clean and de-cluttered. On the other hand, if you want to share the URL, make sure you invest in Bitly URL Shortener to do the job for you. No matter how many changes Facebook incorporates in its algorithms, what you need to understand is that the social networking platform will be the best for many years to come in terms of marketing. The key is to keep on improving with the changing algorithms.